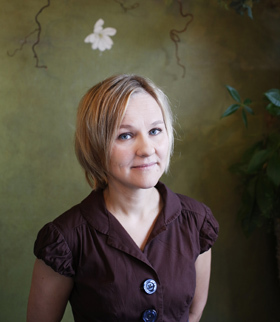 Lotta Wennäkoski emerged as a composer while studying at the Sibelius Academy, mainly with Eero Hämeenniemi, in the 1990s. She completed her composition diploma in 2000. Her teachers at the Sibelius Academy also included Kaija Saariaho and Paavo Heininen, and she also studied with the completely different Louis Andriessen in the Netherlands. Wennäkoski's early output focuses on small ensembles, but more recently orchestral works have emerged as her principal genre. She has also written a few vocal works and cross-discipline works but does not see herself as a particularly pluralist creative artist. Some of her works show her desire to address important contemporary issues: for instance, her monodrama Lelele (2010-2011) is about human trafficking and forced prostitution.